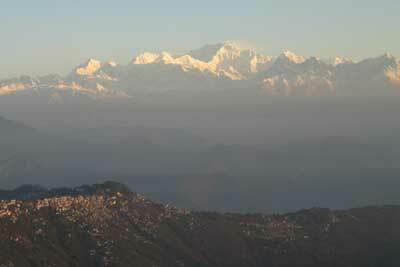 Situated at the top of a 2134 metre-high hill, Darjeeling is west Bengal's premier attraction. Surrounded by pretty tea plantations, and watched over by Kanchenjunga (which, at 8598 metres is the world's third highest peak), Darjeeling offers a number of interesting visitor attractions. For instance, you can enjoy a pink gin and tonic in a hotel dripping with colonial charm, explore a tea factory, visit museums or zoos, catch the Himalayan sunrise or wander in the botanical gardens. The town has a great atmosphere too: colourful and bustling. Part of Darjeeling's allure is its proximity to the Himalaya and in particular Kanchenjunga, which, at 8,598 metres, is the highest peak in India and the third highest in the world. The views to Kanchenjunga are best experienced at sunrise (because of the range of light and the increased chances of a clear sky) from the nearby Tiger Hill (2590 metres). Convoys of jeeps set out each morning to take sightseers there. On arrival, you will have the option of standing in the Tiger Hill pavilion grounds or of buying a ticket for a heated lounge and a cup of chai. You will also be able to see more distant views of Everest (8848 metres), Lhotse (8501 metres) and Makalu (8475 metres) along with a host of smaller peaks. where? Trips can be booked through travel agencies in town or with jeep drivers at the Clubside taxi stand. when? Jeeps leave every morning during high season at around 4.30 am for the 13 km drive to Tiger Hill. The Darjeeling Zoo (aka the Padmaja Naidu Himalayan Zoological Park) is well worth a visit for its unusual collection of alpine animals. 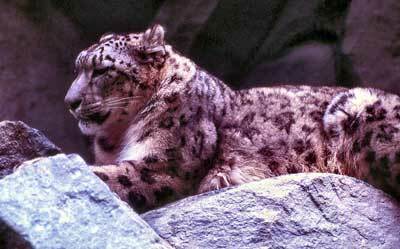 The zoo is particularly well known for its successful captive-breeding programme for snow leopards (pictured), Himalayan wolves and red pandas. Other inhabitants include Himalayan mountain goats and black bears, Siberian tigers and a number of endangered birds. You are able to get remarkably close to the animals, although you should keep a close eye on children (and their fingers!). where? Padmaja Naidu Himalayan Zoological Park, Jawahar Parbat, Darjeeling. Tel 03542253709. About 30 minutes to the north-west of the town centre, along Jawahar Road West. 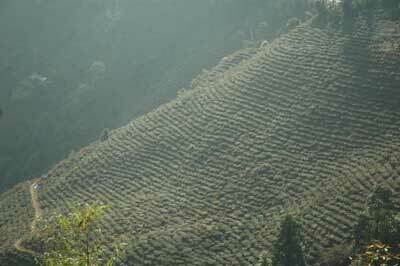 Darjeeling, which these days produces about 25% of India's tea, is home to a number of tea plantations. The most famous is Happy Valley. Established by an Englishman called David Wilson in 1854, Happy Valley has been producing tea for about 150 years. These days, tea is picked from bushes that are a minimum of 80 years old before undergoing a process which first dries and then ferments the leaves. An employee will gladly show you around Happy Valley's bustling and aromatic factory, but will expect a tip in return! where? Pamphawati Gurungni Road, about 750 metres to the north-west of the town centre (off the Hill Cart Road). £$€¥ We suggest a tip of about 25 Rupees per person. The Everest and Mountaineering Museums are next door to one another in the grounds of the Darjeeling Zoo. 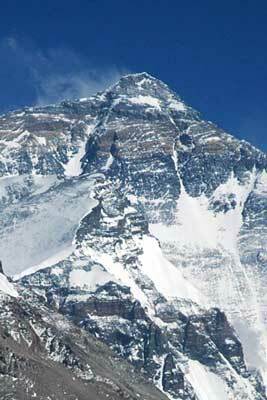 The Everest Museum traces the attempts made to conquer the world's highest peak (the north face of which is pictured), culminating in Sir Edmund Hillary and Tenzing Norgay's successful ascent in 1953. The museum displays original equipment used during that ascent, including Norgay's goggles and boots. The Mountaineering Museum has a substantial collection of historical mountaineering equipment, specimens of Himalayan flora and fauna, and a relief model of the Himalaya. directions? The Museums are situated in the grounds of the Zoological park at the end of the Jawahar Road West (just over a kilometre to the north-west of central Darjeeling). £$€¥ You must buy a ticket that allows entry to the Zoological park and both museums, priced at 200 Rupees for Adults. 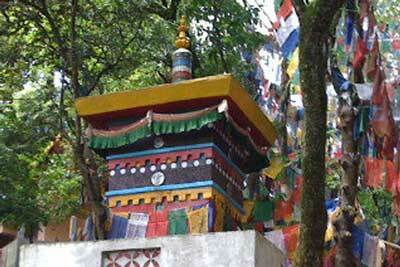 The peaceful Lloyd Botanical Gardens occupy about 40 acres to the west of central Darjeeling. 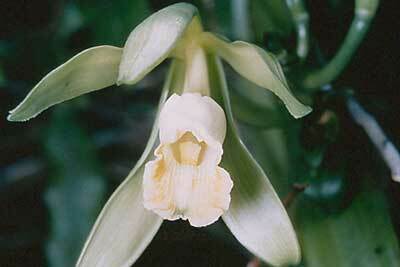 The gardens are best known for their large glass house containing 60 varieties of orchids. The Gardens also contain impressive rhododendrons, wisterias first planted in 1878, a large collection of mature trees, cacti and succulents in a separate conservatory, and a herbarium. A great place to go to relax and enjoy nature. directions? The gardens are located on Lochnager Road, off Hill Cart Road. Tel 2252358. Observatory Hill is the highest point in central Darjeeling, and provides an excellent vantage point for the surrounding mountains. In order to climb to its crest, take a path to the north of the Mall leading up through giant Japanese cedars. You will pass many beggars and monkeys on the way. In addition to the views from the top, the colourful prayer flags and chiming devotional bells which flank the walk add extra interest. Just below the crest of the hill is the Dorje Ling monastery, which is an important site for both Buddhists and Hindus. where? Situated just to the north of central Darjeeling Mall. 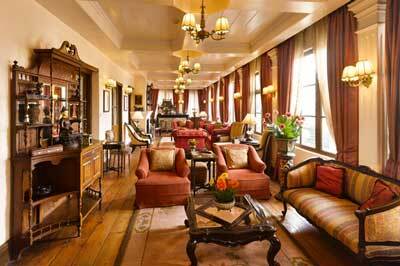 Darjeeling has a number of Raj Hotels, which offer excellent service in traditional surroundings. We recommend the Windamere and the Elgin. Both have clean rooms which offer comfortable sitting areas, coal fires and marble bathrooms. The spacious Douglas Room at the Elgin is a perfect place to spend the afternoon reading the paper or playing a board game. The same can be said for the cosy 'Snuggery' area at the Windamere. And the food in both hotels is tasty and plentiful. Little wonder that they have attracted famous guests, including the US Ambassador, the Crown Prince of Sikkim, Dominique Lapierre and Mark Tully. £$€¥ Advertised prices for a double room start from 6000 Rupees per night at the Elgin and 9000 Rupees per night at the Windamere, but be sure to try to negotiate yourself a substantial discount (especially in low season). 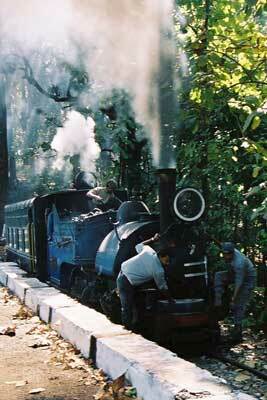 The Darjeeling Himalayan Railway (aka the Toy Train) was founded in 1881 and is a UNESCO world heritage site. It is one of only a handful of mountain railways still operating in India. The railway's trains, most of which are still steam-powered, run on a narrow 2 ft gauge. Although the railway runs for 88 km from New Jalpaiguri (at 100 m above sea level) to Darjeeling (2200 metres), tourists can take 'joy rides' down the Darjeeling hill to Ghoom and back. The trip takes about two hours, and you should book a day in advance. where? The Darjeeling train station is on Hill Cart Road (to the south-west of the town centre). when? In high season, tourist trains leave at 10 am and 12.50 pm. £$€¥ First class joyrides are 240 Rupees return.